My experience with a 3 & 5 Day Water Fast! I had been reading a little bit about fasting and specifically water fasting and wanted to give a go. I’m always looking into natural remedies that I can try out, and fasting is one of the best ways to give our bodies a break and let it heal on its own. Just days before my 3 day fast, I was an oozy mess. My legs were sticking to my sheets (from the ooze coming out and drying on the sheets) and I was having this uncomfortable, achy, heavy pain in both of my legs and feet. That odd throbbing pain seems to happen when the skin is cracked, open and oozing. My skin also itched and flaked a decent amount the night before the first day of the 3 day fast, and shed even more the morning of. Before I go into my experience, let me give you some info on why in the world someone would want to go days without food, only consuming water, and how to do it safely. Fasting isn’t an unnatural process. People have been doing it for thousands of years for healing, religious reasons, to reach a higher spiritual level and more.When you think about it, we actually fast every day when we sleep. When we start to eat again and digestion starts to take place, the natural recovery process is disrupted. It’s said that we should look to the animals and how they live. When animals are sick they literally fast to heal themselves (and eat dirt to detox…think of consuming bentonite clay). When we come down with the flu and whatnot it’s actually best to not eat much or nothing at all and let our bodies heal on their own. When your body is in a fasting mode, all of the energy that the body uses to digest food is now used to restore and repair the cells (did you know that digestion takes 50% of the body’s energy!?). 80% of our immune system resides in our gut, so If we are omitting food for it to process (and allergy triggering foods at that) the body can take the time and energy to clean house and repair and drinking water (alkaline, spring or highly filtered quality water) will flush all of those nasty toxins out. Directly from the food in your stomach. Ketosis: from your adipose tissues (fat deposits). Starvation: from your vital organs and tissues. We take 2-3 days to reach stage four and that’s when actual fasting begins. To reach stage five, it takes the typical person 40 days (depending on body reserves), and we would look anorexic from having lost our fats. The body has an order of preservation. By stage 5, starvation mode, we would’ve lost much of our fats and muscles. But it knows not to use the muscle tissue from our heart, or the fats from our brain. Because the body follows sequences of importance. Likewise, recovery has a recovery sequence. If you fast for several days, your body heals certain minor injuries like skin abnormal growths, that weird spot of hair, and so on. Gradually, your body begins to repair increasingly deeper body damages. The body is continuously dealing with this toxic load, and we just continue to feed it more and more. When the body is unable to fend off, and is weak up to a point, diseases like eczema occur. If healing is not taken place, it’s just going to continue to get worse. I continually receive emails from eczema suffers who don’t understand why they have eczema, because they haven’t understood that the accumulation of a poor diet (processed, acidic foods etc), medicines, the toxins from stress and everyday chemicals that we come into contact with are causing internal imbalance, leaky gut and more. Over toxicity is no joke, and to heal you must let the body repair with nutrient dense alkaline foods, gut healing foods & supplements, cessation of medications (topical steroids etc) and rest. I unfortunately have A LOT of toxicity build up from topical steroids for 26 years, steroidal injections in my hands and feet and chemo therapy for 6 months (twice a month) for Hodgkin’s Lymphoma cancer back in 2008 (chemo has a half-life in the body for up to 12 years!) Allowing the body to repair by fasting will allow for deep cleansing to take place. Always remember that the body is truly self healing, we just have to give it the time, love and good nutrients to do so. *if you want to take on a longer fast, it’s best to get medical supervision. There are actual clinics and retreat centers that will help you in this fasting process. I personally only did a 3 & 5 day fast… and even the 5 day fast was a bit much for me. For me to go longer I would want it to be at a retreat or clinic. Pre-fast. Depending on your current diet, you will need to gradually restrict it into a healthy diet of at least 5 bans: acidic foods like meat, gluten, dairy, sugar, chemicals (i.e. junk food). Do this for at least 2 weeks. The goal is to lessen the detox effects from otherwise rapidly jumping into a water fast. After this, you should do a short one-digit-day fast before you do an extended one. *I personally eat a whole food vegan diet with no processed food and have been eating this way for over a year now. If you are eating similarly you can jump into the fast with having just raw foods or even just doing fruit and veggie juices the day or a few days before. I just jumped into a 3 day fast first (instead of a one day fast) because I wanted to actually experience the fast (which really starts to occur by the second day). Beginning. You must have your schedule off entirely to your ability to rest at home. Remember to spare extra post-fast days. Fasting. Rest as much as possible. Drink only water, and when thirsty. Breaking. 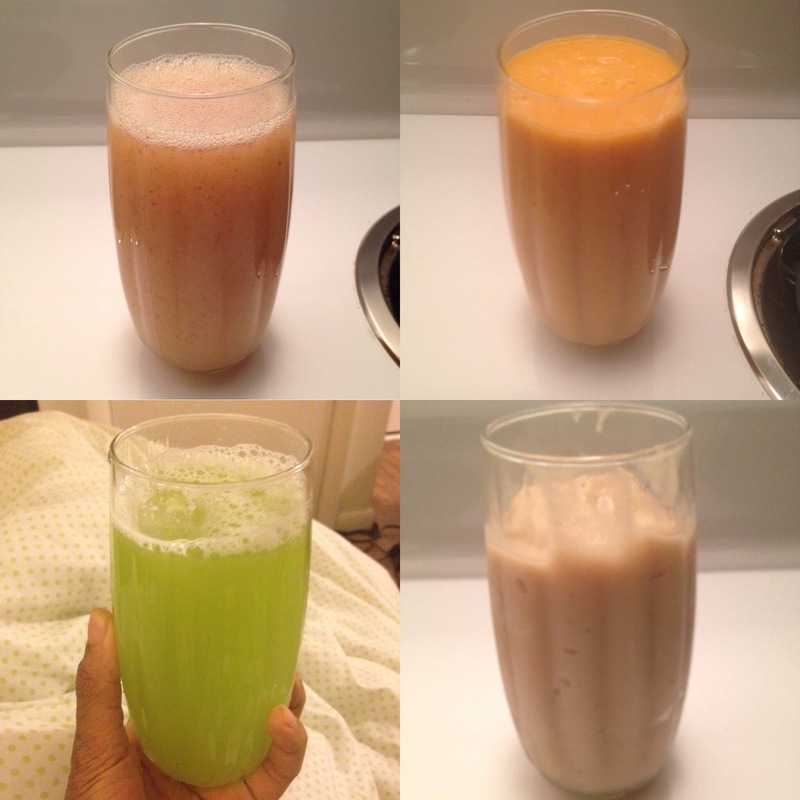 First day, take 1 fistful amount of low-fiber fruit juices at 2-hour intervals. Common options: orange, watermelon, melon. Next day and so on, increase the time in between intervals and consumption. Post-fast. Slowly reintroduce foods, in the order: fruit juices, whole fruits, raw vegetables, and starch-heavy vegetables. *As you will see with my experience I thought that I was just fine to eat a bit heavier after fasting for three days… please don’t do like me! Take your time with introducing foods since the digestive tract has been in hibernation mode for a few days. Breaking and post-fast days are critical because your digestive system begins to recolonize its bacterial colony (as intestinal bacteria die after a week of inactivity)! So really take it easy if you’re fasting for a long period of time like a week or so. You will feel really hungry (in the beginning), but this passes within the second day. Lose weight that you might want to keep such as muscles (there’s a counter-argument that makes sense is by losing muscle cells, you can help clear out cellular junk that uses up place but is fake muscle = for looks but not real strength). You might lose out social hours with friends and family. You might experience side effects: headaches (for this I have a natural remedy by putting lavender and peppermint essential oil into a roller ball and applying it to my temples, you can get these high quality, therapeutic grade oils HERE ), weakened memory, fatigue, lack of focus, slower reaction time, lack of attention, dizziness. Check out this video on how water fasting can aid in regenerating the immune system! –DAY 1 (dec.21): I found the first day to be not that difficult. I felt some hunger pains around 11am, and again around 6ish but all in all not too bad. When those pains did come, I just chugged some more water and it went away. I slept a lot, stayed quiet, rested and also meditated. I had felt a slight headache coming on but it’s a normal symptom. –DAY 2 (dec.22): I was awake for a few hours at about four in the morning because I was super itchy. A lot of the dead skin flakes was coming off like the night before. I still didn’t have intense hunger pains, which is a great thing. I did notice that sometimes if I had bent my head down, I felt a bit light headed when coming back up. A great side effect I noticed was that my face felt softer and the skin on my lips was peeling off a lot, leaving soft skin! Must be all the lovely hydration! I did have a little moment of weakness and wanted to break my fast in the evening, but I pushed through! –DAY 3 (dec.23): I definitely felt like I needed more rest when I got up this morning because I was awake for awhile, just itchy the night before. My stomach was growling like crazy when I woke up, but drinking some water quelled the hunger and I was good to go! I for sure felt that just doing this 3 day water fast has been helpful. I felt that my legs were shedding a lot, my skin became softer and more hydrated and the raw stubborn spots on my fingers had finally cleared up! Two delicious ripe bananas (I sooooo looked forward to eating these and they tasted amazing) *in retrospect I should’ve just had a watery juice for my first meal. *Now I did have some yellow rice and sauteed veggies at a friends house because we were visiting for Christmas Eve. The next day I had a delicious vegan Christmas dinner and I’m not sure if it was too much sauces and seasoned food, or just incorporating cooked foods in too early, but my skin did get irritated a few days later. It could also be that about the second & third day of fasting you really start the fasting process, because you’re going into ketosis, so maybe it was just detox symptoms that we’re going to come along anyway? So if anyone tries this water fasting method, please DON’T do like me and think you can get away with solid foods, and especially not heavy meals the next day. I was feeling pretty good the day I broke my fast and I felt that I could handle bulkier meals. I was just listening to my body and thought that still eating clean with a cooked soup and mix veg salad shouldn’t be too harmful (and the other food later that evening). It’s always best to take it slow with food since the body had just been in like hibernation mode for the past three days. 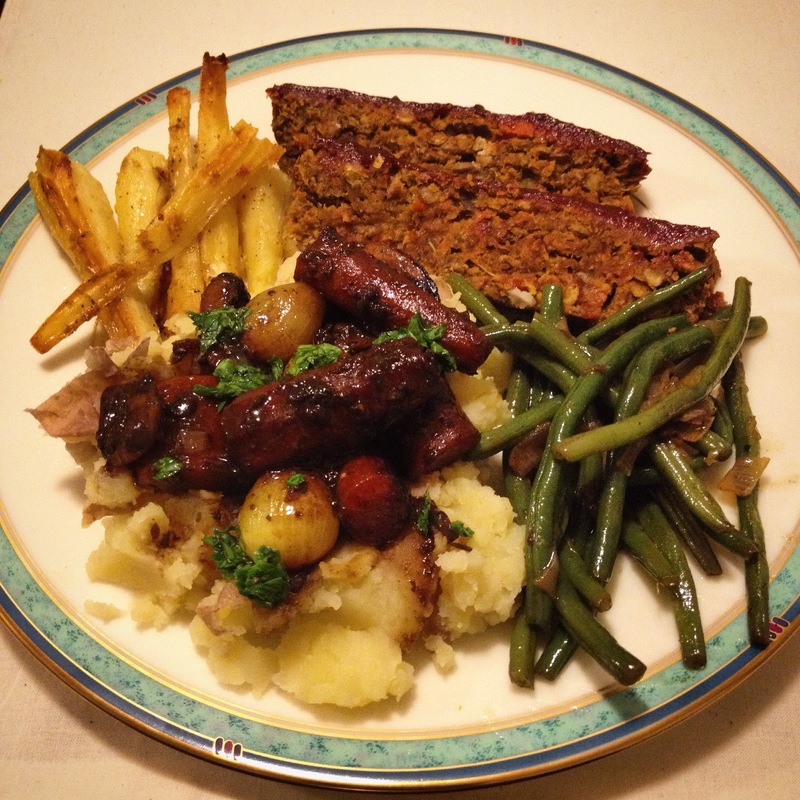 No digestion had been taken place, and introducing solid, seasoned foods can be a shock to the system. 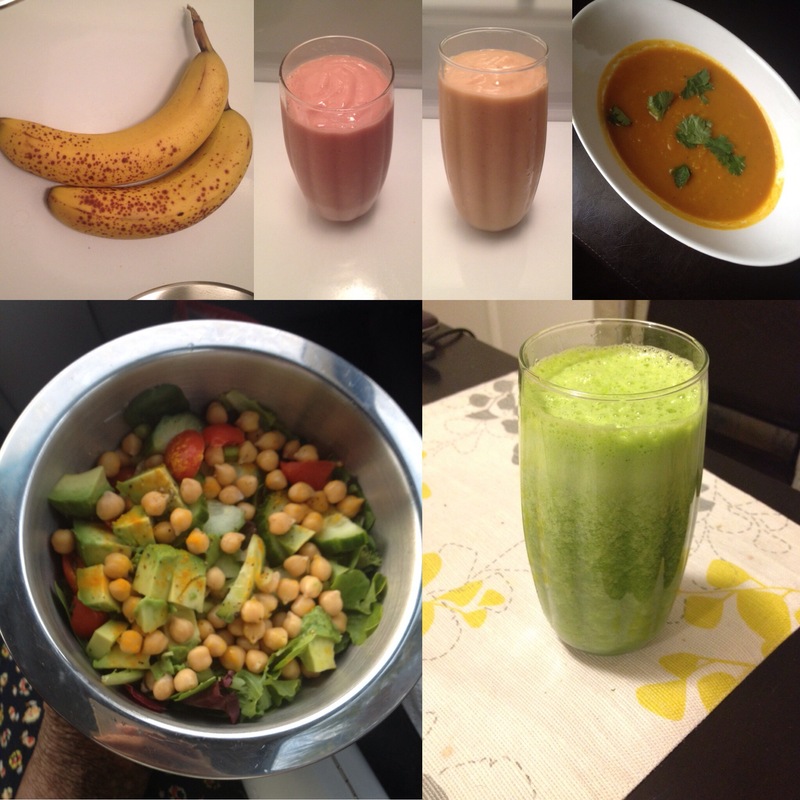 It’s best to give your body 2-3 days after fasting of simple, easily digestible meals (fruit and veg drinks). SOOOO DELISH, but again, don’t go crazy with your meals after breaking a fast! Stick to veggie and fruit juices!!! So as I mentioned, two days after breaking my 3 day fast my skin started to get irritated and ooze a lot more. I realized I definitely added in cooked foods way too early. It’s actually best to just stick to raw foods for at least 3 days after breaking the fast. This 5 day fast I started 11 days after the 3 day fast. -DAY 1 (jan.5th): This was the second day of dripping ooze and sticking to my sheets so I said enough was enough, and decided to do a 5 day water fast. I pretty much shivered all day, and stayed under the covers. That odd temperature regulation issues I have seem to only appear when the skin is oozing terribly. I believe it’s because the skin is cracked and open and it’s just the body’s way of detoxing. I didn’t have a fever, just cold and hot symptoms. It’s really annoying when this happens, and the only real thing to do is just to grin & bare it and push through. As the day progressed the oozing eventually became slightly less and I noticed spots on my legs were becoming dry and stiff and tight. I didn’t have any real hunger pains, and I just continued to rest and drink water all day. I did feel some sweating on my torso area, that had to be just detoxing symptoms and that same odd temperature regulation issue. -DAY 2 (jan.6th): I tried to keep my positive attitude up throughout the day, a get as much rest as possible because I had such a horrible restless night. The flaking, itch and tight skin kept me up all night, but thankfully I had only minimal oozing on my feet, thank God! The skin on my legs and feet were suuuuuuuper tight to where it had hurt to straighten my legs and just walking felt like the skin is pulling apart… I pretty much hobbled over when I would walk because bending was so agonizing 😦 ! Thankfully I felt some relief after showering. January 6. 2016 – Leg zoomed in, you can see the huge flakes. -DAY 3 (jan.7th): I had barely slept again last night because of the intense deep bone itch and all of the flakes that were coming off like crazy. I pretty much collected two palms worth of flakes!! Unreal! Thankfully the stiffness was relieved because all the flakes had shed off. Surprisingly enough I wasn’t even hungry, but I had a headache from the insomnia. I had really hoped I didn’t do too much damage with the scratching. My skin was super tight all day yesterday and for most of today as well as sore from the scratching 😔. I’m just praying it stays in this smooth state and doesn’t ooze again. -DAY 4 (jan.8th): I had terrible insomnia the night before, and last night was similar but with a bit more sleep. All of this itching, flaking skin is keeping me up at night. Managed to get a little bit of rest during ️the day, but nothing really substantial… just dozing off here and there. Still not feeling intense hunger pains, but I felt slightly light headed though. I didn’t flake the massive amounts like yesterday, but still a decent amount. I’ve been constantly applying my diy essential oil cream and it really helped to soothe the skin and slough off the dead flakes. No stiffness and soreness today! January 8, 2016 – INSANE amount of flakes! -DAY 5 (jan.9th): I felt a little discouraged when I woke up because the night before I had oozed a little bit, nothing crazy like when I started the fast (dripping with ooze). It was still disappointing because I had such smooth skin the day before, but as my TSW friends supported me and encouraged me (Y’ALL KNOW WHO YOU ARE! ), they helped me realize that the ooze is a good thing and I actually want it to do that (as gross as it may be lol). They pushed me to stay strong and not stress which helped A LOT. I continued to take it easy, managed to get some blogging done and finally had somewhat decent sleep. That night the ooze had dried up, which was pretty fast compared to past ooze cycles. My legs were pretty itchy from the crusted ooze and it started to slough off. My skin feels a lot smoother pretty much from my knees up. I do feel like I’ve lost a little bit of weight, but I’m sure to gain it back soon. Although I’m actually getting in juices I still feel a bit exhausted so I definitely have to still take it easy. Overall it was a success, not sure if I’ll go longer anytime soon, but I think I might do a three day fast once a month or so to aid in healing. What I learned: I truly appreciate food even more now, and I have a sense of what it’s like for people who don’t have enough to eat. You really get an understanding of what starvation feels like. I also reaffirmed my belief in how powerful and self healing the body is if you just give it the rest that it needs to restore, awesome things can happen! It showed me how important coming off the fast is and to not just assume that you can eat something because you’re feeling ok. The body still needs time to adjust. It also showed me that I have more discipline and will power than I actually thought I had! January 10, 2016 – It’s so important to let the flakes fall off on their own, pulling them off prematurely will leave you with raw, wet, oozy skin underneath. Just like a scab, it needs to stay on to heal. January 10, 2016 – GNARLY flakes right there!! It surprisingly wasn’t that hard avoiding picking away at them. It was just difficult laying in bed because I didn’t want my sheets to tug at the skin and pull it off. January 11, 2016 – Yup, quarter-sized flakes! January 11, 2016 – Skin is a little shiny here because I applied my cream to it. January 11, 2016 – Still got some thickness and wrinkling going on my hands. January 13, 2016 – It’s unreal how my thighs can be so smooth and clear but from my knees down it’s a different story…oozy & crusty. SIGH. February 2, 2016 – Pretty smoothed out skin! Seeing a breakthrough with improvements! February 2, 2016 – Legs are doing A LOT better. No more sticking to the sheets with ooze!! This is a huge victory for me because that symptom is the worst! February 2, 2016 – Elephant skin still quite thick on my knees. 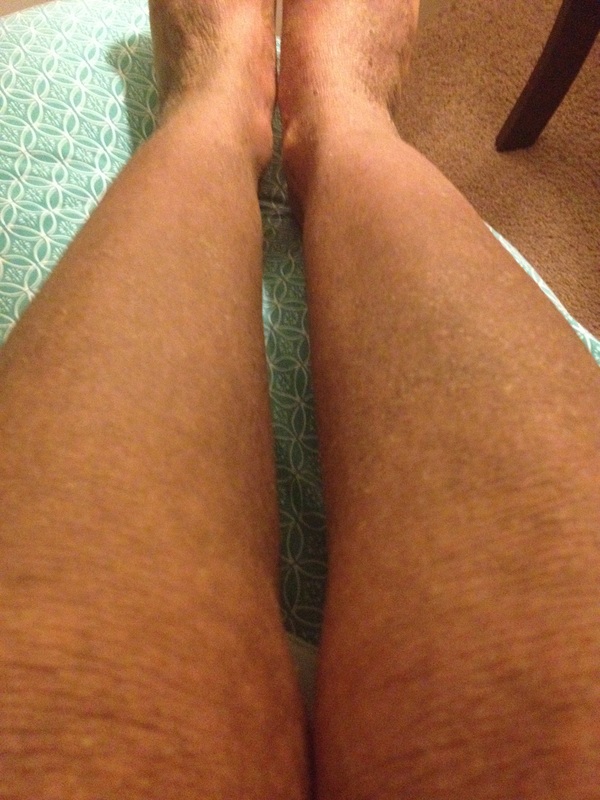 I definitely think the five day water fast has helped…once the crust and flakes finished coming off I noticed that I wasn’t oozing on my legs as much. This is March and I haven’t oozed and stuck to my sheets since those pictures from February 2nd! I’m just dealing with some itchy legs and flaking skin but when I scratch I can’t break the skin, it’s like it’s finally strong enough to not break into open raw sores or get oozy! My feet are the only spots that will get a little oozy and do the crusting crumbly flaking thing. Sometimes when I’m laying down I can feel them as if they have weights on them and they can get achy and throb., but I know that’s just the nerve pain and the skin healing itself. I was pretty sweaty all over on the first day and shedding a lot of skin on my legs and crusted ooze from my feet. I was even experiencing my lips peeling, after the flakes sloughed off I was left with super soft lips. Throughout the whole fast this was the most tired I had been I just felt so exhausted the whole time so it was basically drink water, lay down and use the bathroom for the three days. By the third day my skin started to feel much softer and still itchy but not as much shed skin as in previous days. Breaking my fast wasn’t terrible although I felt super drained that morning but the celery juice I had first thing perked me up and later I had two blended apples with water, then two banana and fruit smoothies a few hours apart and a green drink. I also had water in between my veggie and fruit juices. All in all it wasn’t a bad experience I rested a lot and meditated and found I wasn’t even that hungry throughout the whole fast! I feel that my skin feels a bit softer in the areas that were super rough (hands, feet, below the knees and lower arms, & my torso, thighs and upper arms that aren’t rough got even SOFTER!) and I also feel that this will set me up for clearer feet in the next coming weeks. I’ve noticed that after the fasts the improvements may have been small at first, but after noticing that my legs weren’t doing that awful stick to my sheets ooze, I know that I will soon see even more results from this fast I just did. If this fast will allow my feet to clear up to where there aren’t any open sores, wetness and fragile skin, I’ll be a very happy camper! 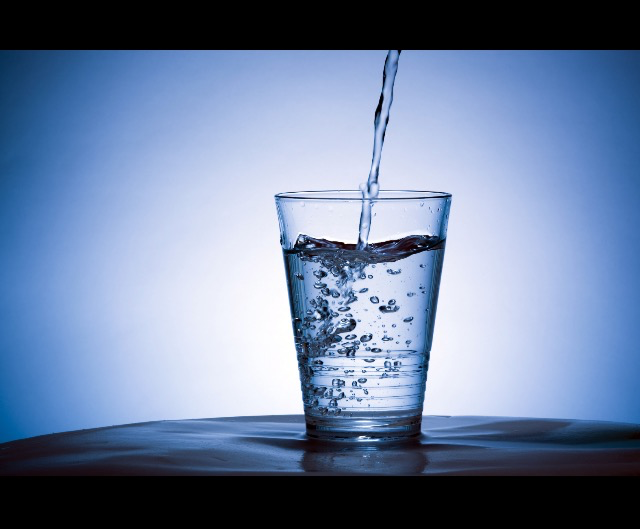 Lemme know your thoughts, would you ever try a water fast?? Feel free to leave your comments below and personally message me if you like at eczema.holistic.healing@gmail.com for healing tips, diet and supplement advice and just to chat! UPDATE….. I just wanted to add this in as it was a comment from a reader on this post, it is full of great resources for you all to check out if you’re interested! Hi. I’ve had skin issues all my life and just recently read the details of what happens when you fast on distilled water only, through Herbert Shelton’s “The Science and Fine Art of Fasting”. WONDERFUL book!! I had done a 5 day fast years ago and didn’t see much improvement, but I bet it did some good. Recently, after more research I did a 4 day fast and my hand skin issues cleared up, AND I lost some weight in the belly area, which was nice! I’m currently on day 4 and plan to go until at least my forehead ezcema clears up. It looks 10x better since I started and I can tell it’s healing. The hardest part is not giving in to eating just because it tastes so good. I need to start following the rules of Natural Hygiene for eating. Shelton also has a book called “Food Combining Made Easy” which goes into the details of why you should not combine certain foods – they don’t get digested properly and your left over with poison which means your body could not get the nutrition from the food. Not good. More toxins. Remember, there is only ONE DISEASE, toxemia. All of the “diseases” moder medicine has named ALL STEM FROM TOXEMIA in the system/body. It’s all so simple when you think about it. Louis Kuhne’s book, “The New Science of Healing or the doctrine of the Oneness of all Diseases forming the basis of a Uniform Method of Cure, without Medicines and without Operations. An Instructor and Adviser for the Healthy and the Sick,” can be found HERE for free along with other great books. From everything I’ve read, the longer the fast the better, but as Jen said, you don’t want to go into starvation mode where your primary organs are used as food. Shelton explains all this in his fasting books and articles. Another good book is “Rational Fasting: Regeneration Diet and Natural Cure for All Diseases” by Arnold Ehret. Hello , My story is very long as well but not as long as yours. I can truly feel what you been going through. I am at work so will write more in detail, but still wanted to quickly share what i am doing to recover from my eczema. I am taking Chinese Herbal Medicines. Oh my god , this has helped me soooooo much i cant tell you in words. And i would really like you to read about it online that how its all about the natural remedies of treating a human body than just the disease. Please please please give it a go along with the Vegan diet. I am also on vegan + gluten free diet + few other stuff like onion, no cold stuff etc eliminated from my diet. Hi Komal! Thanks for messaging me and for your tips ☺️. I haven’t tried Chinese medicine, but I’ll for sure shoot you an email to get more info on your protocol for healing. Thanks again & take care! Wow your skin really improved. I will keep this in mind when I get some personal time as I don’t think my life style with 3 young children will allow me to rest during this period, in which I will need. I’m happy that you are getting the progres you deserve. Interesting read. Has anyone tried ectrned intermittent fasting? Im on my fourth day of 20 hours waterfasting, 4 hour window of eating. Im a TSW victim (2 years TSW) , vegan, high raw food eater. Thanks! I haven’t tried that but it does sound interesting! When you do eat is it just water rich fruits? I’m eating high raw at the moment too! Been having little cooked meals here and there. Vegan is liiiiife! ☺️I’ve also done two days of “watermelon island” (fasting on watermelon).Eating raw has definitely been doing great for my skin how about you?! Well yes and no. Water fasting, i think, has initiated intense detox, which has made skin worse in some ways but this is to be expected (similar to raw as well). Im 80% raw with high fruits. For many months i was juice til four then dinner. 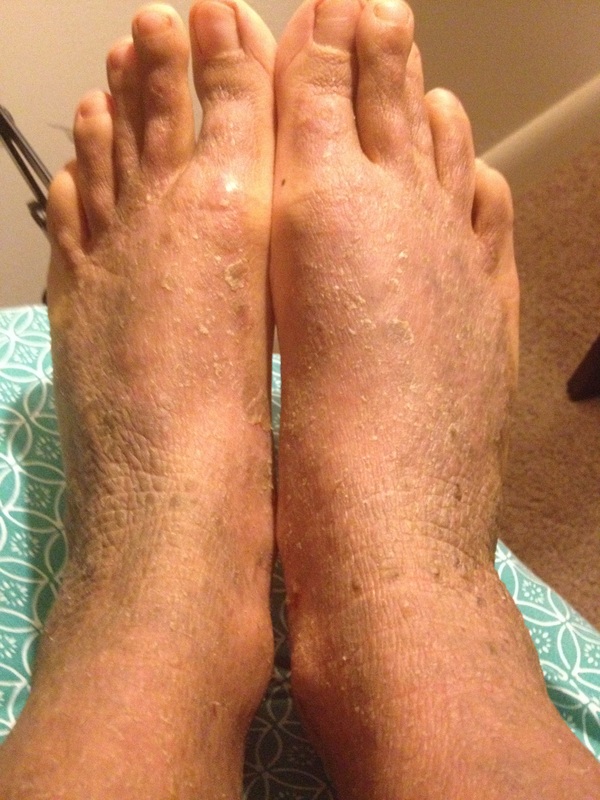 I lost cellulite, spider veins, weight, arthritic pain in my toe disappeared, sun spots too. Skin though still battling. I know it will take time to heal because i used steroids for 35 years. My adrenal glands are messed up obviously (which suppreas kidneys) so skin is the filter. I know its Vegan raw food diet plus waterfasting that will heal adrenals… And patience! Wow what a journey! That’s awesome that you got all those health benefits from juicing! The power of fruits and veggies is incredible! Keep up the good work, complete healing will come! hi，i have severe eczema. have you fully recovered? Hi there! I’m sorry to hear you are going through this and suffering, I’m going to send you a personal email. I’m doing much much better, I’ll be 5 years topical steroid free in March and I can honestly say that I’m 90% of the way healed! It takes time for sure, but healing does happen. You always have to remember that it didn’t take overnight to accumulate toxicity so it will not take overnight to heal. Look out for my email, I look forward to your response! Thanks so much for the photo updates, I am on day 2 of my water fast, my excel isn’t as bad as yours this time as I already realised that the culprit was mainly gluten but you know how it can be, you have some bread with no real reaction, followed by some cake the next day, then some pasta…and now I’m covered neck down (including sore hands) in patches of excema terrified that they will remain. SO I’d never heard of the water fasting until this week (mainly out of desperation and didn’t want to take prednisone). Your blog is super helpful. Also do you recommend five days rather than three? Hello Liv! Thanks for checking out my site, I’m so glad that the info has resonated with you! Good on you for starting a water fast! I recommend for the first time to just go 3 days. Then maybe try out the fast again a few weeks later and do 5 days. You want to kind work your way up to it if you’ve never done it before. Always make sure to break your fast with juicy fruits, I recommend watermelon or other melons and then get into other fruits in the day and then some veggie juice or salad. Gotta slowly allow the body to break the fast and introduce food in. I don’t find gluten to really be an issue, the real issue is the white processed bread products. Make sure you eat whole grain organic wheat and sprouted wheat is even better. That processed stuff is just void of nutrients and fiber. My skin is doing pretty well thanks! I have an update with pics I need to put out soon. Water enemas have been helping really well and I recommend them to everyone lol. I will email you a health questionnaire that you can fill out if you’d like, it will help me get to know your personal situation and I can give you some advice and tips! I hope all of this helps! I love you site, really cool to see how much water fasting did for you. How are you doing now? I’m 15 months in with TSW and I want to try water fasting too, but I don’t want to miss school. Did you take a break from work/school to do the longer fast or were you able to do both? I know this is an old post but I hope you see this and I hope you’re doing well. I really want to do all I can to help my body heal, so any tips will be much appreciated. Thanks Skenny for your great comment with detailed resources! I will check out these books for sure. Yes the body is so amazing at healing and these deeper cleansing methods can help so much. Good luck on your fast! I’ll make sure to add your comment to the post itself for those to see all of your links and such (just in case they don’t come to the comment section lol). Thanks again for commenting, I will shoot you a personal email with a health questionnaire if you’d like to fill it out for more natural healing advice that I can provide. Happy Healing!